On this week's lunch break, the guys talk about CD Projekt Red's recent release of game play footage for the upcoming "Cyberpunk 2077". 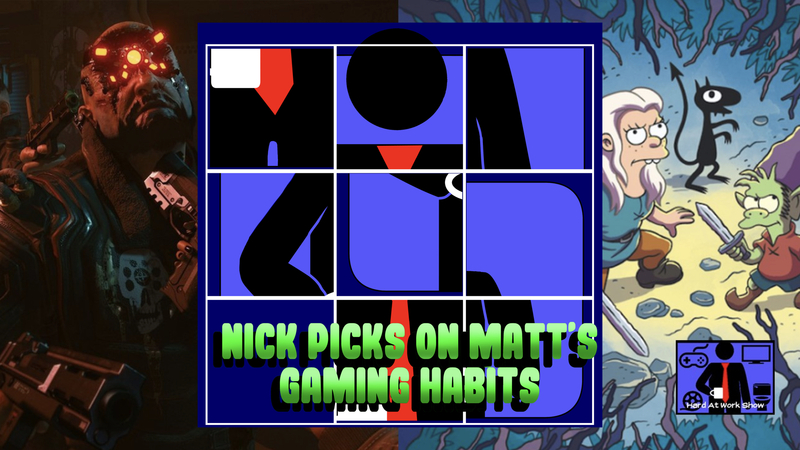 They also talk about cartoons, Neflix's "Disenchantment", Batman Begins, Stripes, Real Genius, Ex Machina, gaming habits, and Nick rants about those dreaded slider puzzles. Enjoy!